I am from a small family and when it comes to celebrating Christmas, we usually spend it travelling! It is one of the rare cases during the year that everyone has holidays, so what we usually plan is a trip for 10 days starting from Christmas and finishing just after the New Years Eve. This year we wanted to go to some place that would feel Christmas! Barcelona is certainly one of my fav places in Europe, but when it comes to Christmas it is definitely not the place to feel the festive spirit! I mean..can you really feel the Christmas spirit when it gets up to 20 degrees outside? So, we decided to go somewhere we haven´t been before and to make sure it is a place with a Christmas spirit! It was not easy to find a place that we all haven´t been to, so at the end we decided to go to Prague! We haven´t been there (well, my dad has, but he is always the one to compromise..sorry dad..I love you) and it is a place full of Christmas markets and potentially snow! 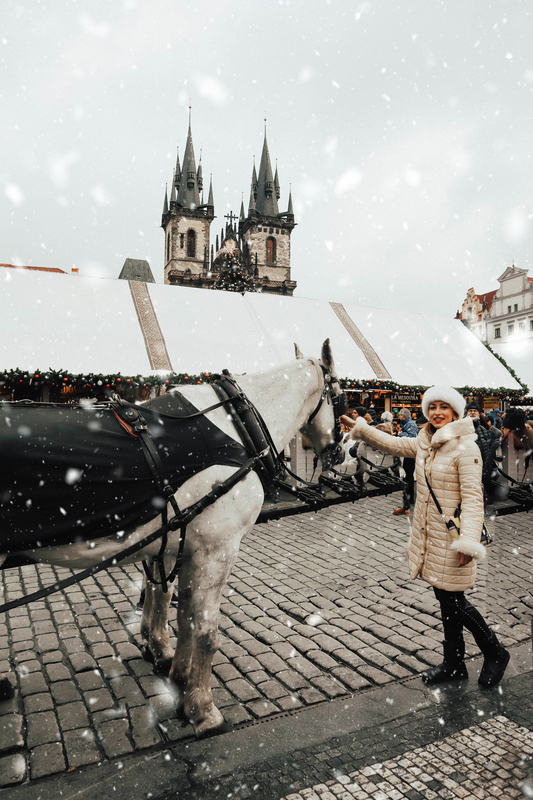 It was a great decision to spend Christmas in Prague! We absolutely loved the city. We were there for 4 nights, which I think is absolutely enough. The centre of Prague is not that big and its walking distance from one end to the other. 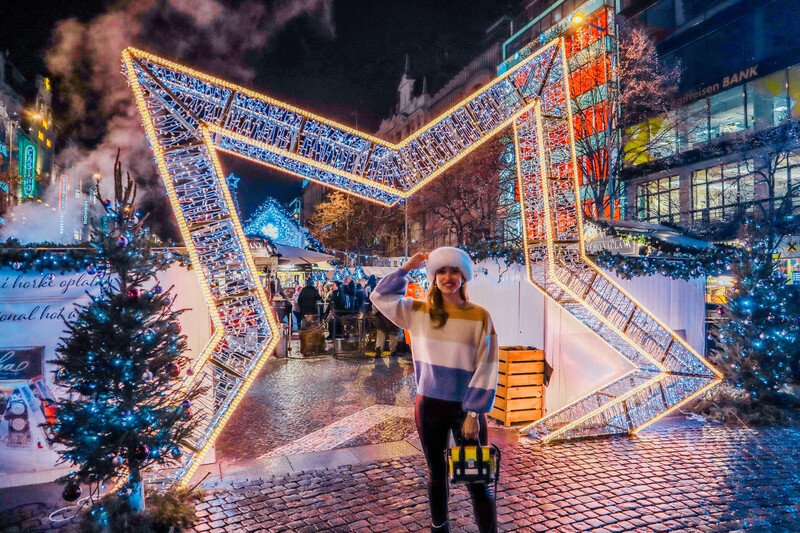 However, spending 4 nights there gave us the chance to explore the city peacefully and to enjoy many glasses of mulled wine and Christmas carols at the Christmas markets! 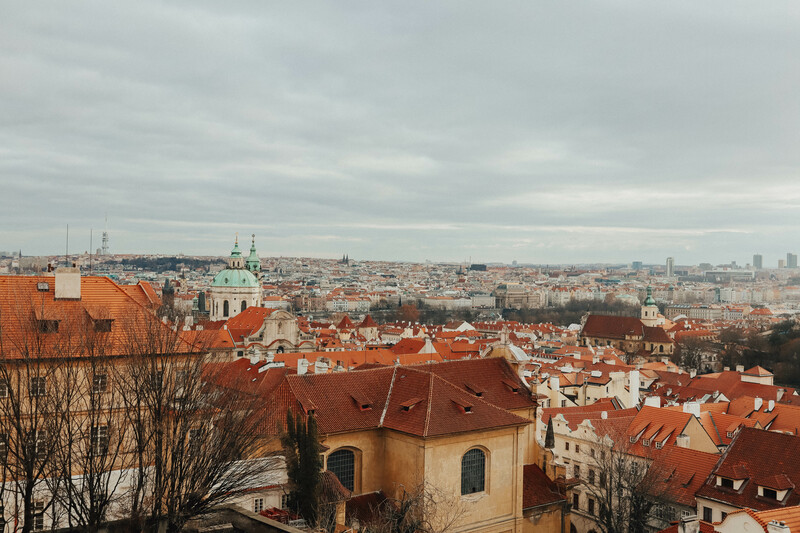 The Prague Castle – the architecture is impressive and the views from the top of the hill are breathtaking! Charles Bridge – it connects the two central parts of the city and has great views. 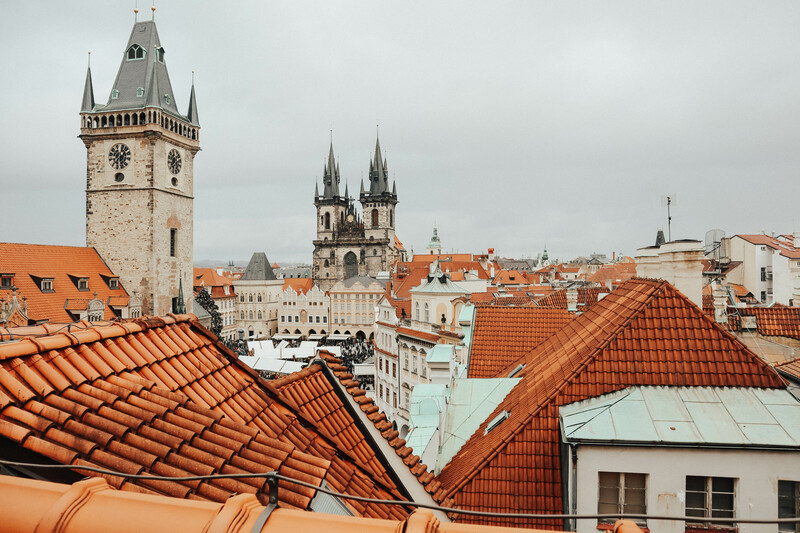 It is perfect for a walk while exploring the two different parts of central Prague. The Prague astronomical clock – it is over 600 years old and its figures change every hour. On top of that it is situated at the main square, which you have to visit. The old town and its charming little streets, full of souvenir shops and amazing bohemian crystal. If you are visiting for a longer period there are of course other things to see and do too, but these are the must-see spots! An experience which I found quite nice was the retro cars which you can rent for a ride, you will see a pic below! Another tip! 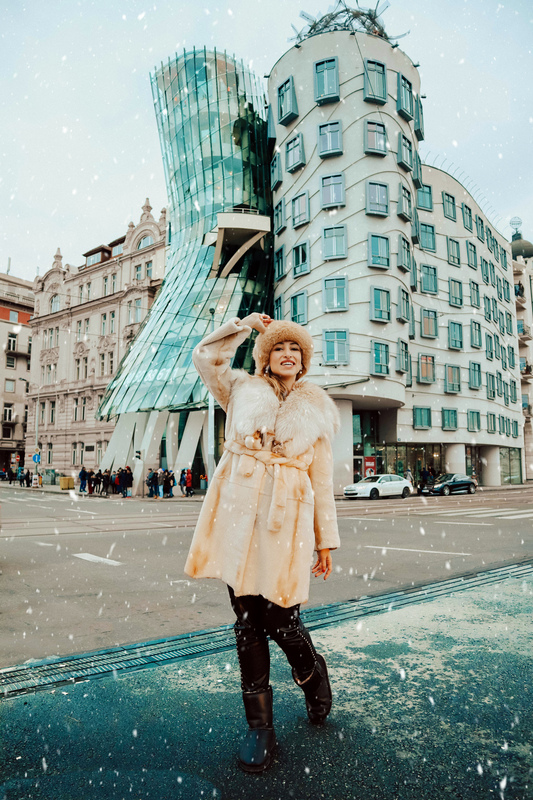 If you are into crystal things, Prague will be like heaven for you! There are so many amazing items to buy. You can negotiate the price at the shop btw, just ask for a discount! Also, important! If you want to be in the central area you have to book accomodation at the 1st or the 2nd zone! We were staying at the second zone, just by the national museum, and it was less than 10 minutes walk to the main square with the astronomical clock! We barely used any transport, which was great. I always prefer to have everything walking distance, as you don´t waist time commuting. Well, to sum up, everything in Prague was great! Well almost everything! As I said on my instagram stories, almost everything was great! It turned out that the staff at restaurants, bars, shops and everywhere else tend to be extremely unhelpful and rude! I usually never complain about such things, as it might be the case that someone is just having a bad day.. we all do! But this was different, every single person was rude! I am not sure if it was because the city was overcrowded with tourists and everyone gets annoyed or they are genuinely so rude, but we were all certainly shocked by the service! It even happened to us twice that our bill was not correct (they have put a couple extra things on it) and when we told them, they got angry at us..oh well..not everything can be perfect! 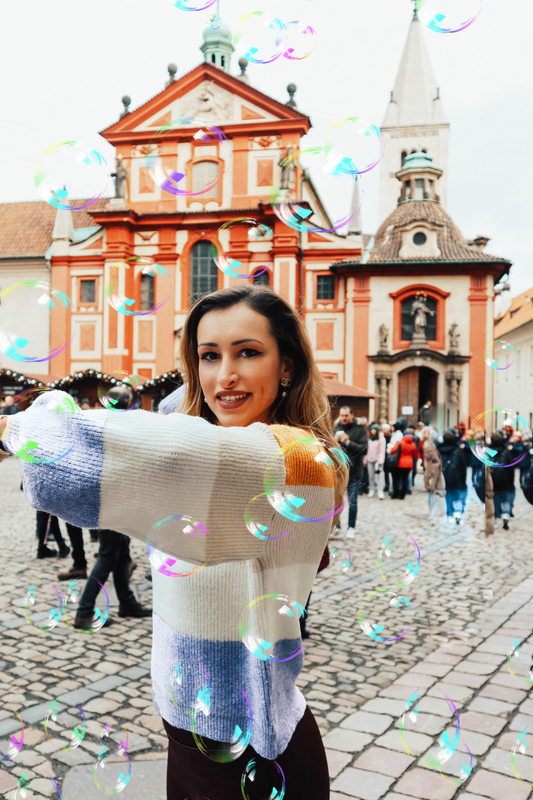 That should not stop you from visiting Prague though, the city is beautiful!